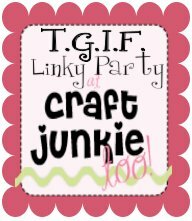 I have been working on decorating the sunroom in a French Garden theme and I have painted a few pieces to put in there. 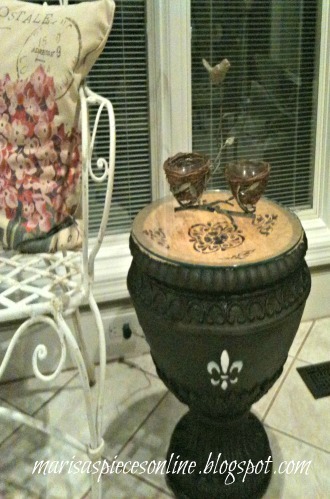 I am decorating with black and white and I decided to use this planter as a side table. 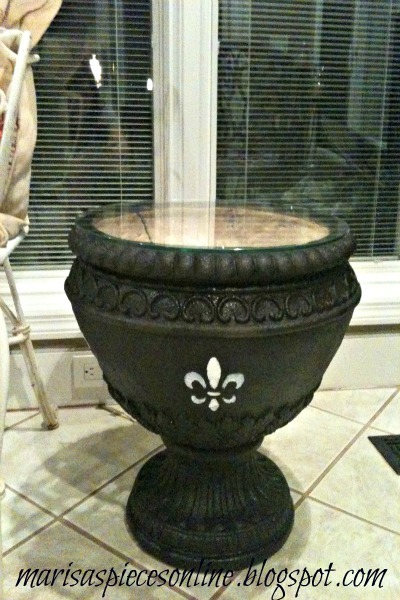 It was painted with a stone texture and I decided to paint it black and do a fleur de lis stencil. 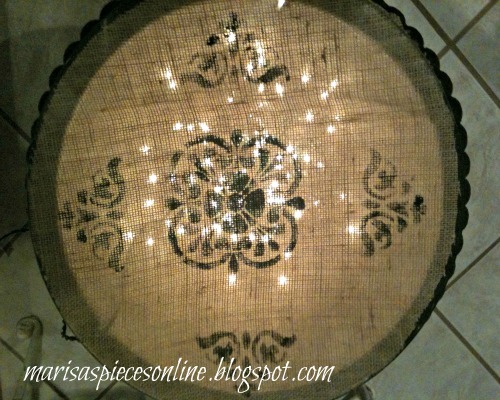 I put a strand of christmas lights in the bottom of the planter and I covered the top using burlap. 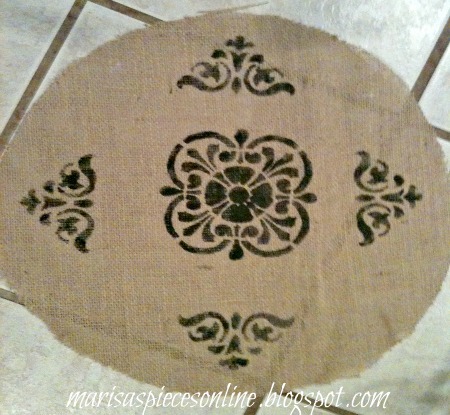 I put my piece of glass that I was going to use on top of the burlap and traced it and then used a stencil to paint on my design. Tune in for some more painted pieces. Hi I am RaNae from Ewe Creek Cottage this table turned out so beautiful. I am gonna follow you back u share some really great stuff. Thank you, RaNae. I enjoyed talking with you.